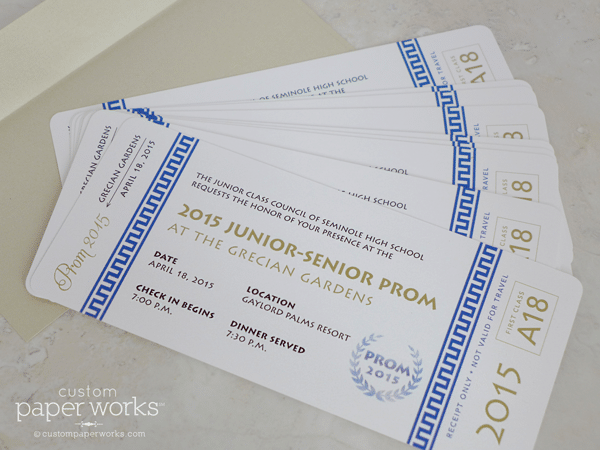 We created these boarding pass prom tickets for a Florida high school. The theme was “Greek Gardens” and they wanted a clean, modern design. A GOBO light design they had already had created became the stamp artwork on the boarding pass. 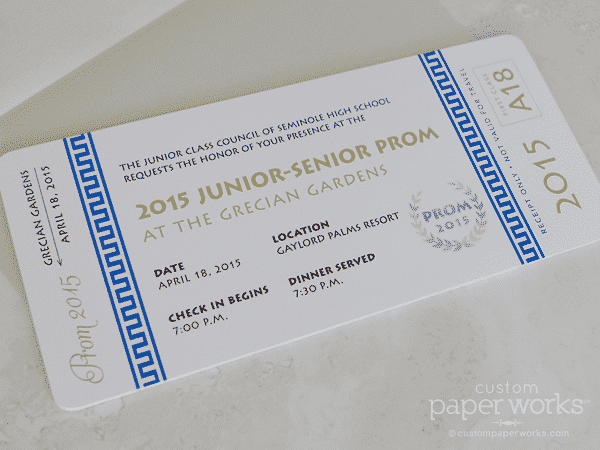 Boarding pass ticket invitations are great for any high school dance or a college formal. 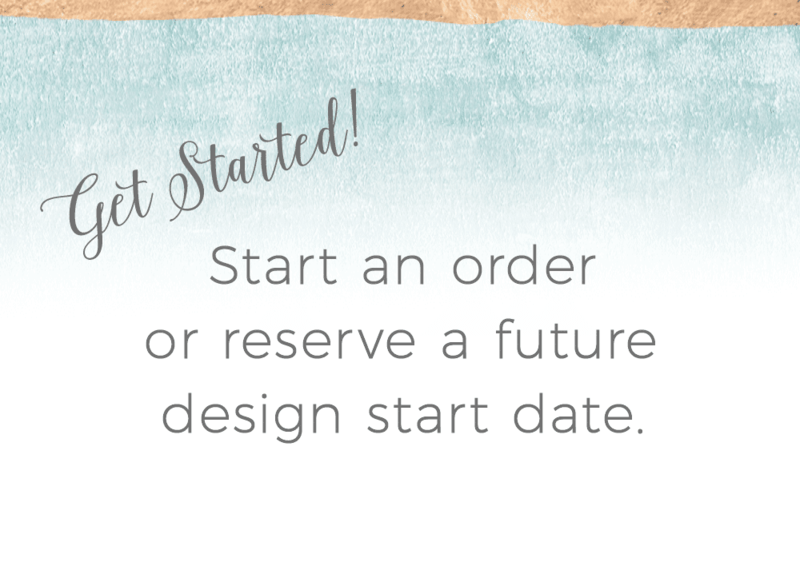 They can be customized with any theme in hundreds of colors, and can be ordered with or without envelopes. They are also available with a perforated section and ticket numbering.